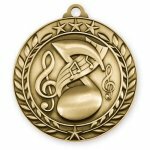 This fun and economic 1 3/4" Music Wreath Medallion in antique gold features a classic wreath motif accented by stars with action packed designs at a price that can't be beat! Backside will contain new LPM logo, year and child's name upon request. 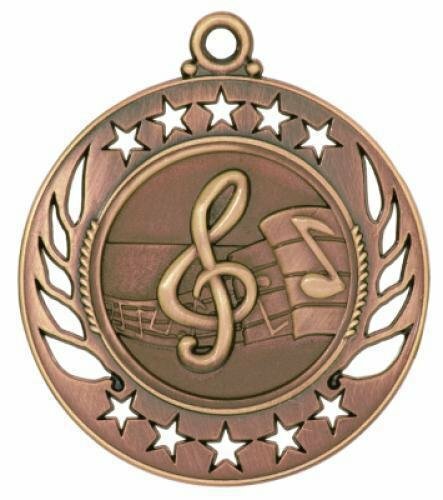 LPM Music Galaxy Medal. Choose a neck ribbon or pin drape ribbon when you add this product to your shopping cart. This item will contain the new LPM logo. 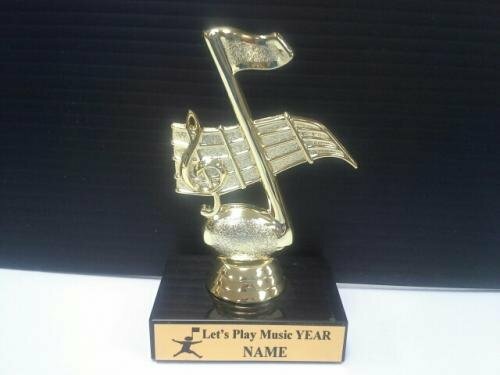 LPM music note trophy with custom logo. *NOTE* Marble base trophies may only use UPS shipping options to prevent possible damage. Shipping rate/method adjustment may be made after order is received. 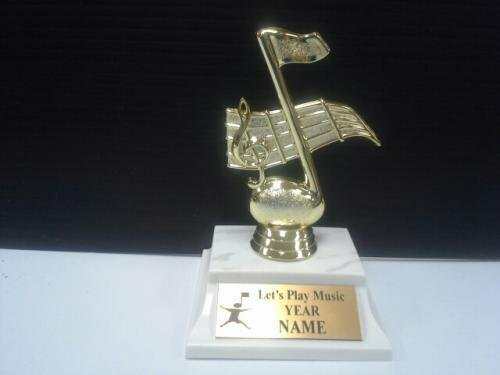 LPM music note trophy with custom logo on plastic base. *NOTE* Trophies may only use UPS shipping options to prevent possible damage. Shipping rate/method adjustment may be made after order is received. Yellow with black print LPM ribbons with pin back button. These ribbons contain the new LPM logo.